The Challenge Spartan 185AEP Ream 181/2 Paper Cutter saves time and money. 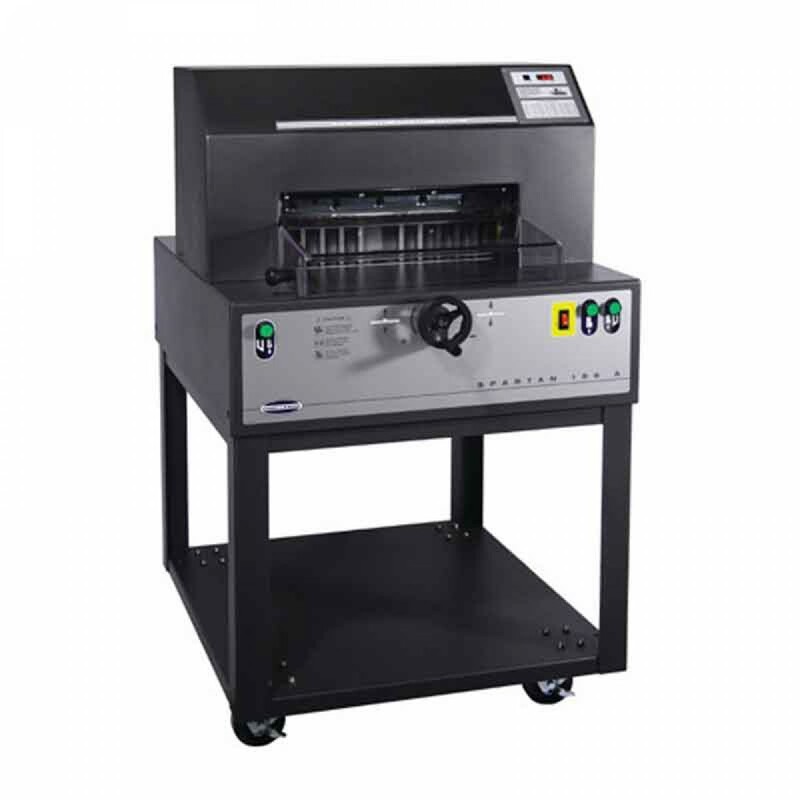 The SPARTAN 185 Table-top paper cutter provides an economical solution for lower volume cutting environments such as professional offices, copy centers, in-plant printers, and on-demand digital print providers. Capitalizing on Challenges time-proven expertise in manufacturing paper cutters, the SPARTAN 185 is engineered and manufactured to the highest of safety standards available.